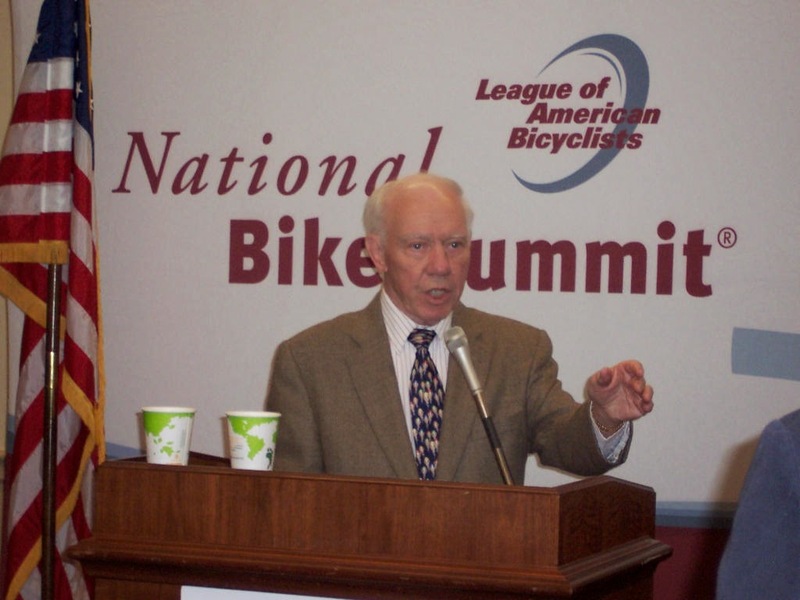 Star Tribune -- Former U.S. Rep. Jim Oberstar, a lion in northern Minnesota politics and the state’s longest-serving congressman, died in his sleep early Saturday in his Maryland home. He was 79. The veteran Democrat served 36 years - 18 terms from 1975 to 2011 - as a representative from northern Minnesota. The son of an underground miner from Chisholm, Oberstar rose to become chairman of the House Transportation and Infrastructure Committee, one of the most powerful committees in Congress. He was revered by many in his district for bringing countless road, bridge and trail projects to the area and the rest of the state. Oberstar mentored several Minnesotans who are in politics today and grew to become an almost bigger-than-life character in his region until his stunning defeat in 2010. 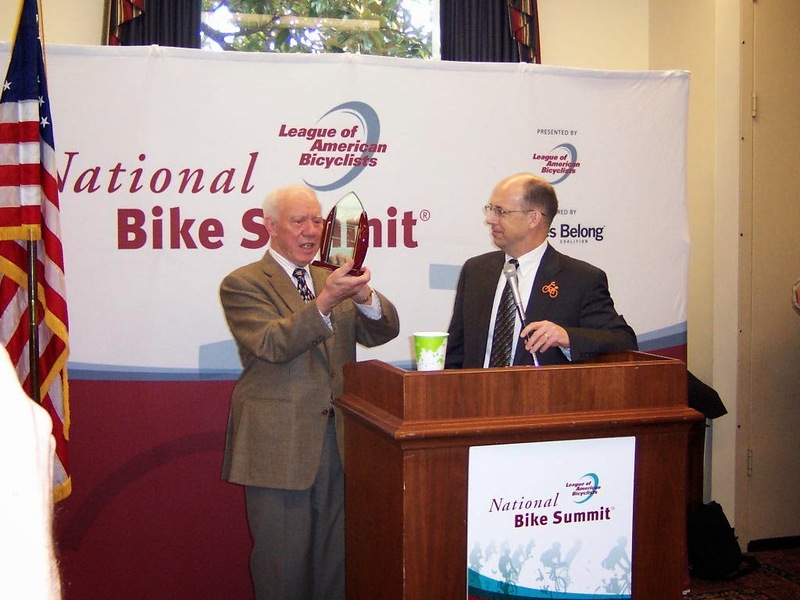 Jim receives an award from Andy Clark, President of the League of American Bicyclists, also taken at the 2010 National Bike Summit. Very sorry to hear this. We cyclists lost a true champion.